The report consists of Business summary, Share performance, Financial summary, Outlook, Management overview and Key ratio analysis. 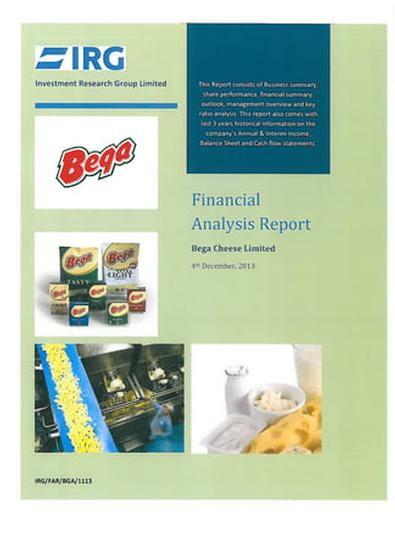 This report also comes with last 3 years historical information on the company’s Annual & Interim Income, Balance Sheet and Cash flow statements as well as a graphical representation of key items. Total 15-20 pages. Be the first person to tell us what you think about Bega Cheese Limited and you'll save $5 on your next purchase!